The Eurozone — "flawed at birth" — is failing its member states. As paper money declines in importance, it must embrace the digital revolution. Image: Wikimedia/JLogan. Some rights reserved.Since the outset of the sovereign debt crisis in Europe, there has been much talk about the future of the single currency — the euro — and the common market system based on it. Over the past decade, anti-euro parties and movements have grown not only in Greece, where the government considered a contingency plan to revert back to the drachma during Varoufakis' tenure as minister of finance, but also in other battered economies of the south, including Italy, Spain and Portugal. More recently, the Nobel Prize-winning economist Joseph Stiglitz has indicated that the single currency may very well be the greatest threat to the sustainability of the entire European Union, especially against the backdrop of Brexit and the surge of anti-EU parties across the continent. Stiglitz’s argument is that the “eurozone was flawed at birth” because it didn’t account for Europe’s inherent diversity, hitherto a trademark of the continent’s success. Not only did the single currency entail “a fixed exchange rate among the countries, and a single interest rate”, but it was predicated on the assumption that a highly diverse region could be managed by the same macroeconomic standards. To save Europe, he recommends splitting the eurozone into two: a ‘strong’ euro for the Northern economies and a ‘weaker’ alternative for those of the South. This argument must be credited for having broken the carapace of complacency that dominates EU institutions, which plod along with so-called quantitative easing but have no idea how to address the underlying structural problems of the Eurozone. At the same time, Stiglitz doesn’t go far enough in his call for a more flexible monetary mechanism. A weaker currency may have a short-term positive effect on exports towards the stronger-euro countries, but it would have a very limited impact on exports to the rest of the world: indeed, the euro has weakened considerably in the past year, with little tangible improvements in competitiveness for the more fragile European economies. At the same time, the weaker-euro countries would still need to repay a debt mostly held by their stronger-euro counterparts, and the devaluation of their currency would increase their relative indebtedness. Finally, structural differences would remain within each group: Italy is not Greece or Portugal, just like Germany is not Belgium. To prosper, European businesses and citizens need more flexibility than what can be achieved through a simple split of the eurozone and new currencies show a promising way forward. While twentieth-century thinking about monetary systems was inherently exclusive, pitting national currencies against local and supranational money, modern economies are likely to function much better through the interaction of complementary forms of money. In particular, digital currencies (often referred to as cryptocurrencies) provide a very efficient solution to supranational exchange systems. Indeed, most money nowadays is virtual: it is exchanged through credit and debit cards, bank wires and other digital transactions. Paper money now accounts for a small fraction of the global economy. In the 1990s the European Union introduced the ECU, the digital forefather of the euro. The ECU was far more modern than the euro, providing a virtual option in a world still dominated by paper currencies. It was just a unit of account and never became real money, because the system wasn’t ready for the digital revolution. But now it is. Today a Europe-wide digital currency would have many benefits. First of all, it would complement national currencies rather than substitute for them. Exchange rates could be optimised by member states to suit their needs and policies, while supranational digital money would be used to facilitate cross-border transactions and allow businesses and consumers to benefit from a more user-friendly common market. Citizens and companies would thus diversify their portfolios, shifting between the ‘digital euro’ and national currencies as they see fit: they may prefer national money for local transactions, opting for the regional alternative when travelling abroad or purchasing on the internet. Such a system would have the same convenience as the current one, but with the advantage of securing flexibility for national governments to deal with structural differences and changes in the global economy. Moreover, it could be built into the existing institutional framework through a few partial adjustments, while either a split eurozone or an outright demise of monetary integration would require massive policy reforms. 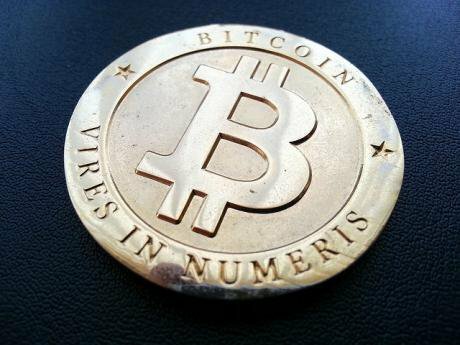 "Digital currencies provide a very efficient solution to supranational exchange systems." Image: Flickr/Zach Copley. Some rights reserved. Indeed, the digital euro would keep the same operating rules and would continue being managed by the European Central Bank. Member states would be given the option to adopt the digital euro as their national currency, thus adding paper money to the digital one, or to reinstate their national currencies alongside. Arguably, not all of them would choose the latter option, thus reducing transaction costs as opposed to a complete return to national money systems. Those countries intending to reinstate their national currencies would nevertheless be required to accept digital euros, with either fixed or fluctuating exchange rates, as is already the case with non-eurozone members like Sweden and most eastern European nations. While keeping control of their national money systems, citizens and companies would be able to earn and spend digital euros, thus optimising transactions across Europe without the cumbersome process of exchanging money for foreign purchases. In sum, an integrated system makes the reintroduction of national currencies less burdensome, while guaranteeing access to a continental market. Not only does it help address the imbalances of the current European market, but it also facilitates the expansion of monetary integration to other countries, thus making the continent more resilient in case of future enlargements and external shocks. Ideally this system should also be complemented by a set of local currencies at the sub-national level. Why? To strengthen local economic development and avoid the risk of a common continental currency wiping out local economic systems. Local money caters for local needs, can be used only in a given community and may be accessed more easily than the national and continental currency, as it is managed by local government or local civil society networks. It is an important safety net for small businesses and especially the poorest, who may be marginalised by national and continental currency systems. It also provides an incentive to buy local, which is what European economies desperately need. As local currencies encourage people to buy local, businesses often provide goods and services at a lower price than they do to customers using national or continental currencies, thus reducing inequalities and poverty. 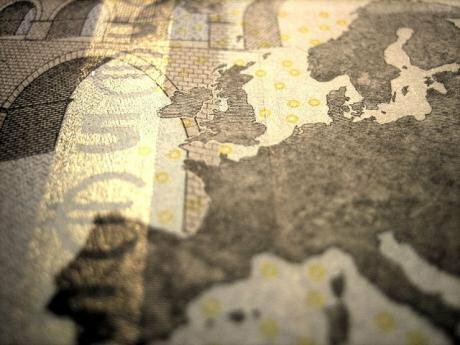 Many European countries are at the forefront of experimentation in new currencies. Germany has the world’s largest community of complementary currencies. In Greece, there are growing networks of local currencies, some of them in paper format while others are completely digital. Other countries are following suit. This approach is not only less costly than an outright return to national currencies, which would ultimately bring about the collapse of the eurozone and a dangerous regression to nationalism, but it also affords flexibility and adaptability at a time of fast economic changes. It allows countries with different economic profiles and monetary policies to stick together and pursue the advantages of a common market without losing the freedom of a national and local control over money supply and interest rates. At the same time, as these currencies run in parallel, they co-exist with one another while offering a diverse range of advantages depending on the type of transaction, turning monetary integration into a win-win.